One was great, and one was not so great. 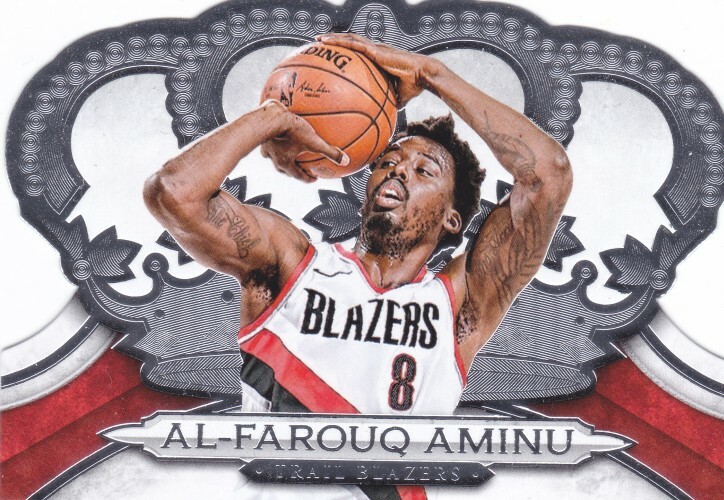 In my continued quest to be a little smarter about my card purchases, I went back to the eBay well and bought into a couple of breaks. As usual, I snagged the Trail Blazers. Last year's Donruss Optic had a "Fast Break" configuration that includes some parallels and fancy sparkly signed cards. 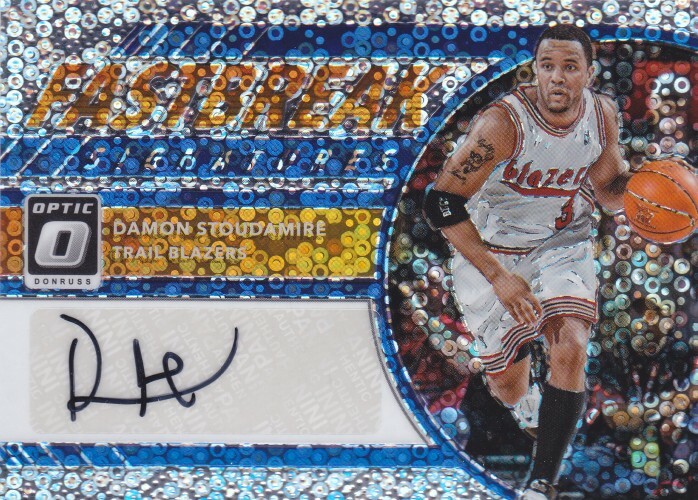 While I didn't get any of the parallels (and there are way too many parallels in Panini products especially), I was able to finish off my Optic base team set and ended up with this gaudy Damon Stoudamire sticker auto. Not bad! 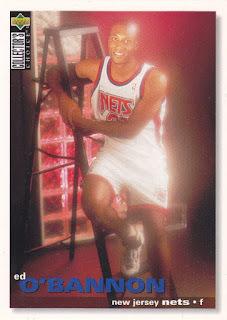 I wish the Blazers could wear throwbacks like the one Stoudamire is wearing, which I believe dates back to around 2004? On the other hand, Panini's Crown Royale is a hobby only (I think?) product with an all-die cut set. It probably has some nice inserts and such, but I wouldn't know as I only ended up with two of the base cards and nothing else. There's a certain amount of failure built in to every group break, just like any pack or box one might purchase. I didn't check the configuration carefully, so it's entirely possible there just weren't many cards available in this auction. I still need to track down most of this team set, now that I know it exists. I just won't be all that motivated to, because as a product this Crown Royale set just feels a little flimsy and gratuitous. That Damon auto looks very cool. Crown Royale used to be a cool product... back when it was a Pacific brand! That Pacific pull really was a tough one. But that Lillard auto is sweet. Those breaks really can be feast or famine. I like breaks but I just have to know going in it may not go my way. Thanks for sharing. Crown Royale is a great looking product. Been a fan of it since the 90's. The only downside is that they essentially look almost exactly the same year in and year out. 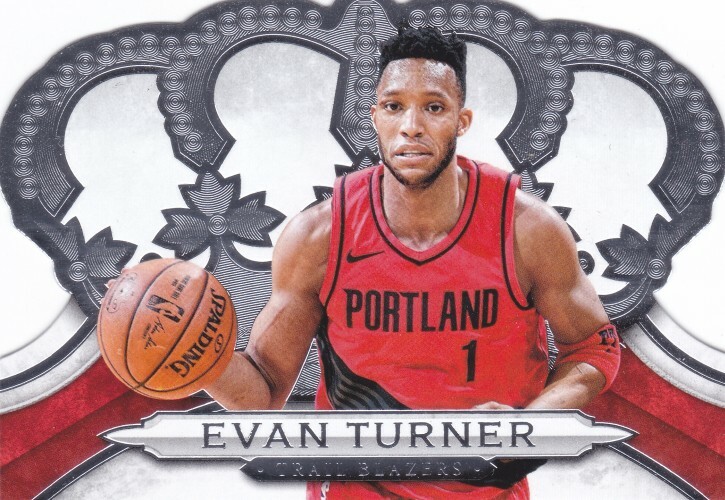 As for group breaks, the last one I paid for... I did really well. Don't think I'll ever join one again, because I want to end on a high note. Crazy that Damon's jersey is a "throwback." Congrats on that auto! Seeing some (not all) of these basketball sets makes me wish they would try some in baseball too.